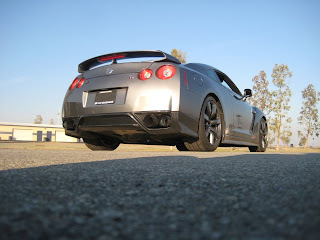 Z- Car Garage put up a writeup from their experience at the Buttonwillow R35 GT-R Trackday. They have a new harness bar that they are working on that will not interfere too much with the day to day operation of the car, but allow you to put harnesses in the car. I needed harnesses when riding along and trying to film at the same time. With the mounting design that we have chosen for the horizontal harness bar, there are no sharp edges of any kind to injure owners or passengers when not in use. This design also allows removal and installation of the horizontal bar to take less than 5 min. That’s right, from rear passengers to 6pt. ready in 5 minutes. You saw it here first. It was good to see Rob and the guys from Z-Car Garage. Z- Car Garage is worth calling, just to hear their hold music. They have old Z- Car commercials as hold music. 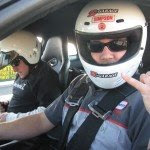 I have been talking to Rob for years about RB's and GT-R's. If you are in the SanJo / Bay area and need some Nissan help head over to Z-Car Garage. The Z-Car Garage R35 ran a best time of 2:02 on Bridgestones. They mention some brake fade, which I also felt in the JIC/Ziel car. I think for most people, the car just needs some ducting. Add some air to the center of the rotor to help cool it off. Then maybe some Castrol SRF , and a good trackday brake pad. Stock pads are fine for street and all around use,but for more serious use, the car weighs 4000 lbs with driver.